It’s my birthday in two weeks and I’m preparing my skin in advanced as I do not want to breakout prior to the date. In preparation I traded in 5 empty Lush pots to get my free face mask. 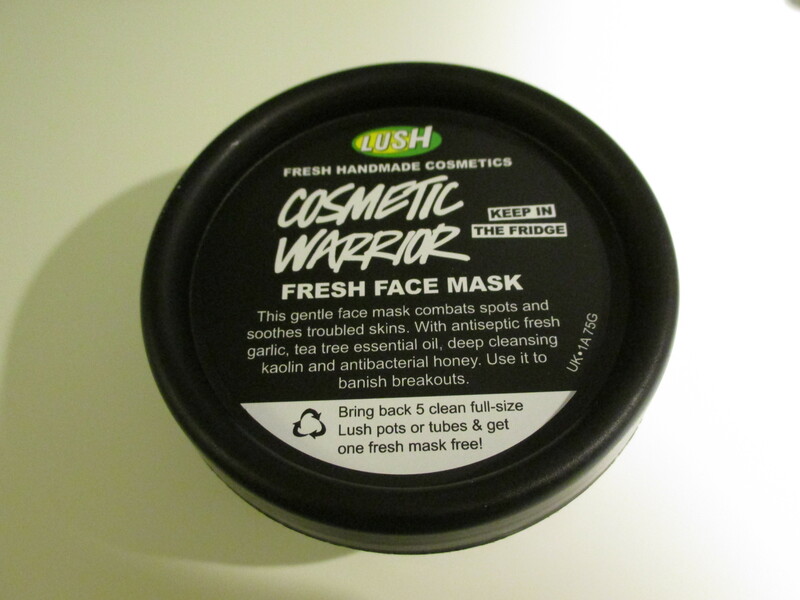 I chose Cosmetic Warrior as it is meant to soothe and calm the skin as well as deep cleanse the pores from everyday cosmetics. 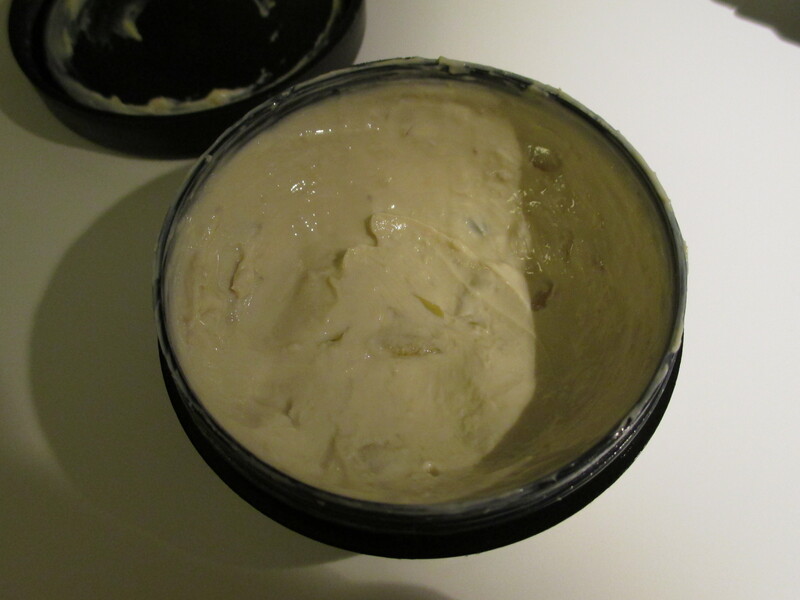 This mask has some great ingredients in it, kaolin is a clay that attracts impurities in the skin. Eggs, grapes, tea tree and garlic have anti-bacterial and anti-microbial properties, and honey is great for anti-septic purposes as well as being deeply moisturising.. This mask has a really smooth silky texture with small pieces in it, I think what gives it that texture is probably the grapes. I do have to point out that the smell of this mask isn’t the most pleasant, it smells a bit like a tangy salad dressing, despite the added perfume, so that may be something you want to keep in mind before purchasing it. After 15 minutes I washed off the face mask and noticed my skins redness had reduced, was softer, moisturised and cleansed. I’ve used this mask three times now and I believe it’s kept any inflammation down and prevented breakouts. I would recommend this to anyone with spot-prone skin of all skin types. It may not be suitable for sensitive skin as it does contain perfume. I think Mask of Magnaminty is better at deep cleansing for blackhead and whiteheads. Cosmetic Warrior may be better for treating acne or spot prone skin, so it really depends on your skin needs.